Mr Snack and the Lady Water. Travel tales from my lost years - a book by Brendan Shanahan. Travel tales from my lost years. A book by Brendan Shanahan. 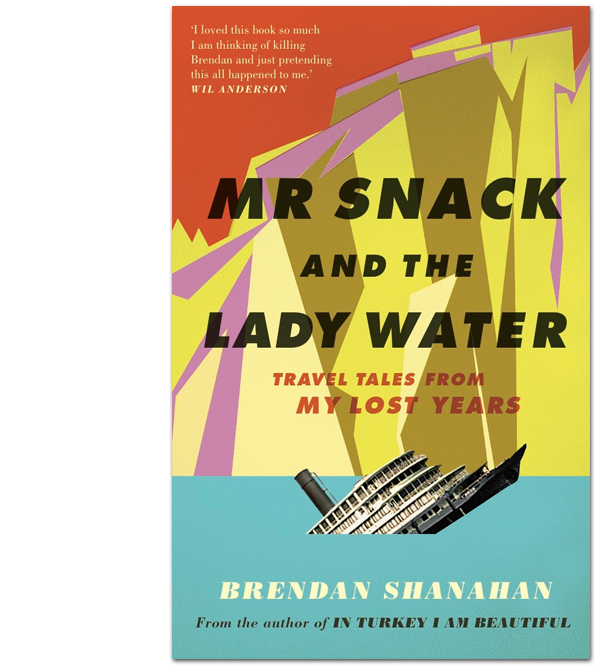 After a decade spent on the road, renowned travel writer Brendan Shanahan is back with Mr Snack and the Lady Water, a collection of darkly funny and unexpected travel writing. In the title piece, Shanahan embarks on what is supposed to be a luxury cruise down the Yangtze River, only to find himself on a three-day endurance test aboard a leaking barge on China’s Yangtze River in the company of a mysterious roommate, a pair of neurotic American spinsters and a thousand baseball-capped tourists. Other stories include his sight-unseen, online purchase of a house in Las Vegas, his brief career in Bollywood and a mediation on white guilt in post-apartheid South Africa. 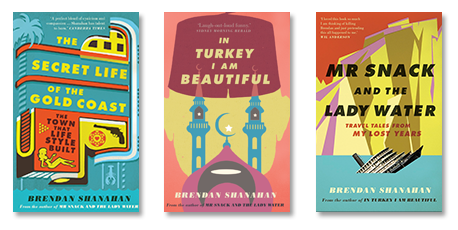 Shanahan’s previous book, In Turkey I Am Beautiful, was released to rave reviews. The Sydney Morning Herald described it as “laugh out loud funny”. 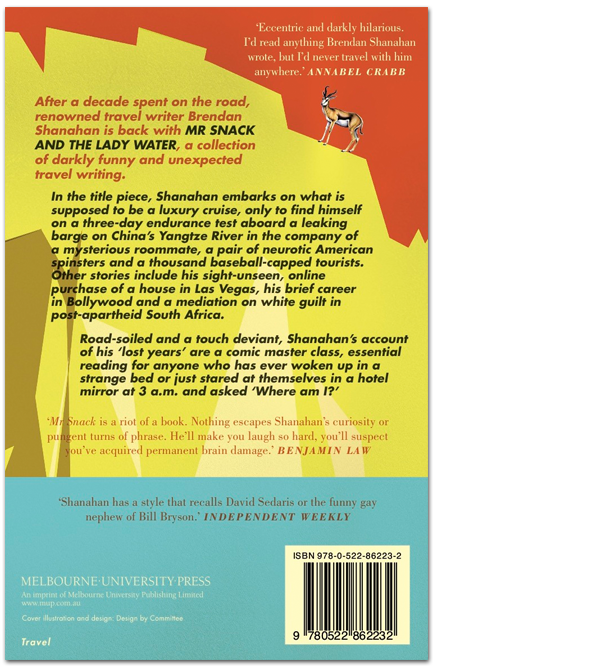 The Independent weekly said, “Shanahan has a style that recalls David Sedaris or the funny gay nephew of Bill Bryson.” The Sun Herald called it one of the “greatest travel books ever” and it was voted top ten in Radio Australia’s end-of-year poll. ©Brendan Shanahan 2013. Published in Australia by Melbourne University Publishing. IBN:978-0-522-86223-2. Book design by Design by Committee Site by heymrleej.